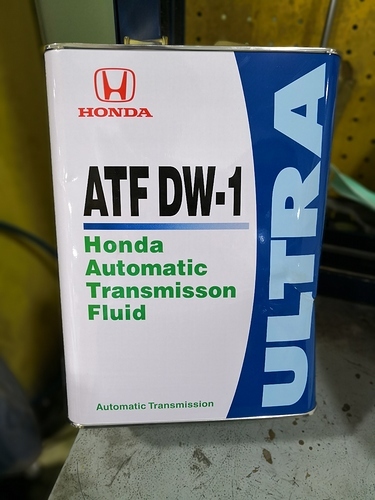 Oil Type: ATF DW1 ULTRA Made in Japan only availabale at Honda showroom pic attached. Do not use commonly available plastic bottle oil in the market. It is not ULTRA. Oil quantity: When you drain it out via bottom plug then 2 litres. 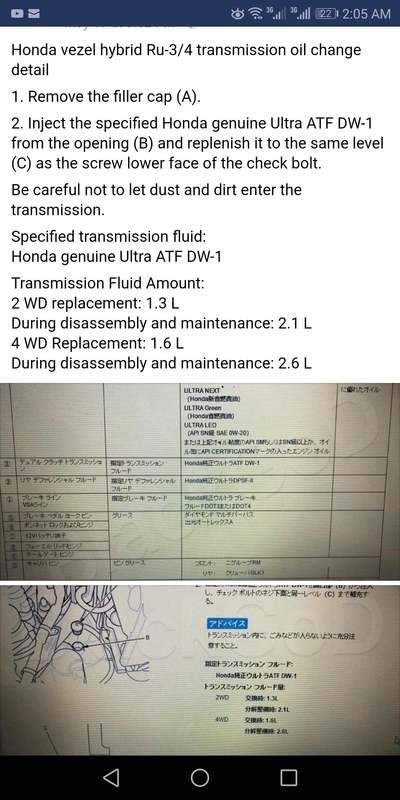 if it is sucked out by machine from top then 1.3 litres. Never put 3 litres which is common practice outside in market mistri khanas. You will damage your tranmission. I almost ruined mine when mistri saab put 3 litres in it. Change every 20000 to be on the safe side. 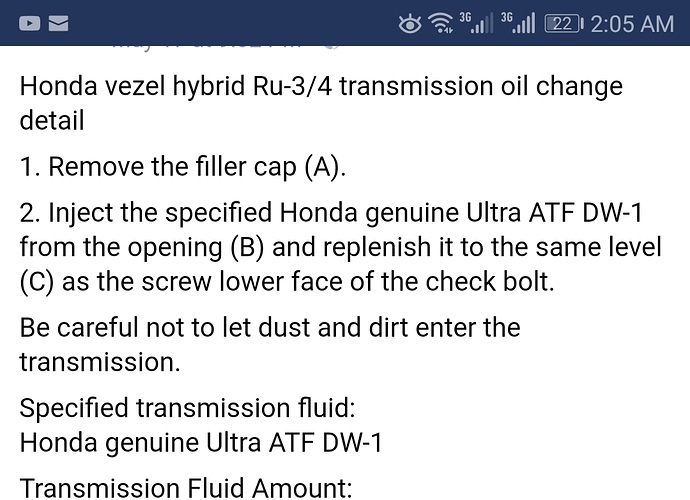 There is a metal filter which comes out with the bottom drain plug. Dont forget to clean it. can you give me link from which you took screenshot? or if you got this manual, can you send me? or send me link from where you downloaded it?